How does the digital variable data printing? The variable data allows you to customize communications with each customer in an effective, quick and easy. When the need is that of having to diversify the commercial marketing communication by means of dynamic content, which vary from time to time taking into account the individual person you want to achieve, using new technologies, and which talks of printing data variables. 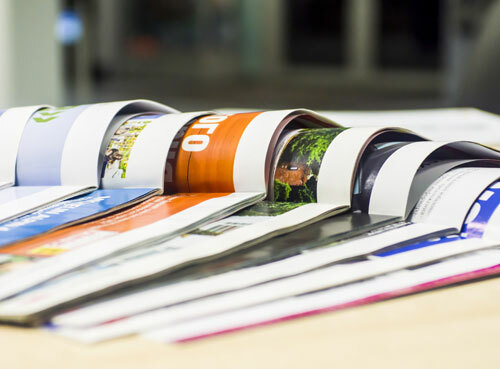 The digital variable data printing (VDP = Variable Data Printing) is nothing but a very particular application to which traditionally refer to digital printing, in which both the texts, graphics and images that are customized for each printed page. To do this it draws directly from the data on the database or external file. The digital variable data printing allows you to customize any type of printed and adapt it to their customers or to any type of user. But one of the most impressive data is that thanks to digital printing of variable data, there is a very high return of campaign marketing. In fact is the “contact” or better, “the approach” with the customer that changes and improves, and the example is very intuitive, because there is a big difference between “Dear Customer” and “Dear Lucia Rossi”. The digital variable data printing allows printing always the same document with custom fields and different on each printed sheet. Therefore, it is a new print mode that offers an effective solution for variable data handling even on paper, allowing you to create a printout by inserting variable fields such as name taking them directly from a database. You can also place immediately counters, barcodes and images linking them to existing fields. The use of variable data for direct marketing allows you to communicate in a targeted manner through dynamic content that adapt to the individual recipient and to catch up with an advertising campaign just who really is interested in a certain sector or to specific products. With this type of printing, there are no limits in the diversification of communication and it is also possible to choose different formats such as business cards, membership cards, brochures, product cards, etc. Thanks to variable data printing, you can create in a rapid and automated, customized products such as labels, mailing, book of tickets, invitations, bar codes, etc. And all this leads to obtain great advantages as a large and significant increase reported in the return direct marketing, especially in the management of the relationship with each customer. Instead of bothering to print five thousand copies of the same document to be sent to customers, variable data printing allows you to produce five thousand documents different from each other, because it allows you to customize each client. Printing with variable data, it has unlimited applications, and is widely used by companies who want to produce and carry out targeted advertising campaigns for the sale of a particular product. Printing with variable data combines the flexibility of digital printing to a high level of customization makes unique every single sheet.